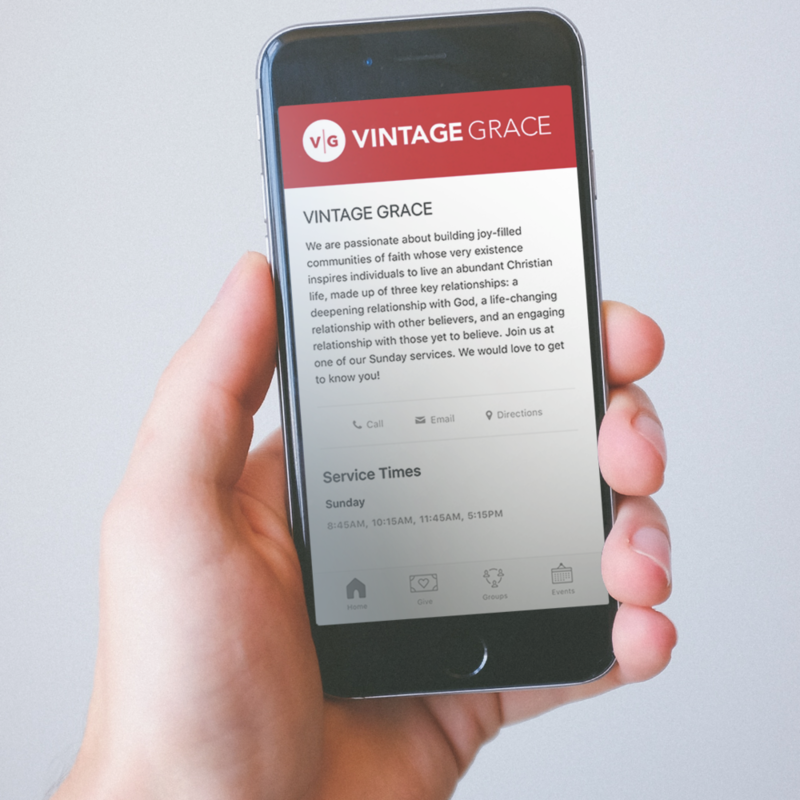 At Vintage Grace, we will not typically take a formal offering so we encourage you to give online or through your phone. Thank you so much for partnering with us so that together we can move forward with what God is inviting us into and continue adding to our “sending station” with the Phase 2 Building Project. We are on the Church Center app. You can contact your life group, register for events, and give through this app for iOS and Android. Completely free!